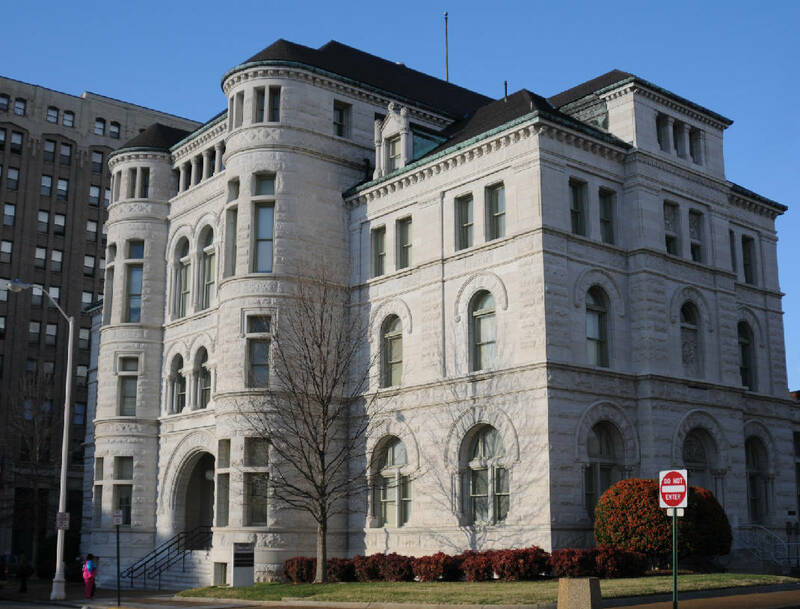 The U.S. Bankruptcy Court will remain in Chattanooga's historic Custom House on 11th Street. The number of individuals and businesses filing for bankruptcy protection in the Chattanooga division of the U.S. Bankruptcy Court has declined each year since the 2009 peak in filings. Source: American Bankruptcy Institute based on court filings compiled by Epiq Systems, Inc. The number of Chattanoogans going broke last year fell to the lowest level in a decade while local property foreclosures dropped to the lowest number since the turn of the century. But Tennessee still leads the nation in the share of households and businesses filing for bankruptcy. And bankruptcy experts warn that rising interest rates and more borrowing and home purchases could push up bankruptcy filings in the year ahead. The number of persons and businesses seeking bankruptcy relief last year in federal bankruptcy court in Chattanooga declined for the seventh consecutive year as rising family incomes and property values, combined with lower gas prices and historically low interest rates, helped improve the balance sheet of most consumers and businesses. Property foreclosures, which often trigger bankruptcy filings, also plunged nearly 27 percent in Hamilton County last year. The number of completed foreclosures fell to only half of the peak level reached during the Great Recession seven years ago and the lowest level since the year 2000. Housing experts said rising home prices, which increased by about 7 percent during 2016 among all properties, helped many delinquent or struggling home buyers to be able to refinance or restructure their debt short of a property foreclosure or bankruptcy. "The 7 percent appreciation in home prices has added an average of $12,500 in home-equity wealth per homeowner across the U.S. during the last year," said Anand Nallathambi, president and CEO of CoreLogic which tracks property sales across the country. "Sustained growth in home prices is clearly bolstering home- owners' spending power and balance sheets and, as a result, spurring a continued drop in defaults." 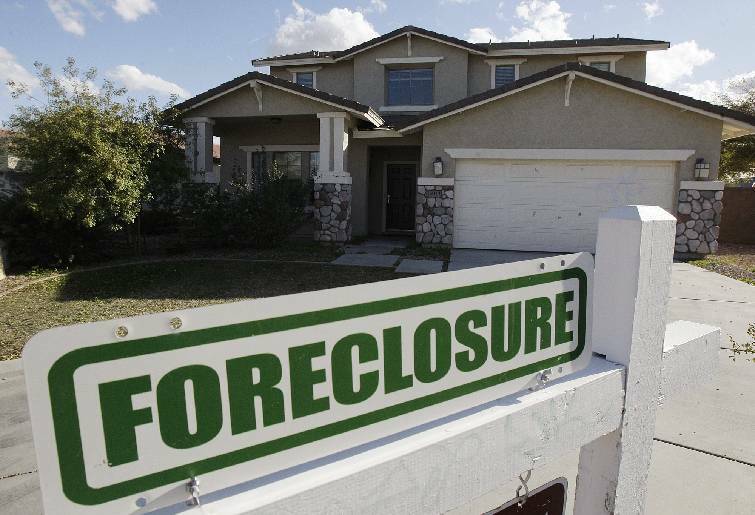 ATTOM Data Solutions said last week that the number of foreclosure filings nationwide — default notices, scheduled auctions and bank repossessions — was down 14 percent last year from the 2015 total. With fewer foreclosures, not as many Chattanoogans sought debt relief in federal bankruptcy court last year. In 2016, 5,689 persons and businesses sought bankruptcy relief in the Chattanooga office of the U.S. Bankruptcy Court, down 1 percent form the previous year and 33 percent below the peak reached in 2009. The number of local bankruptcy filings was the lowest since 2006. But the decline was not as much as the 6 percent nationwide drop in bankruptcy filings so Tennessee remained the No. 1 state for bankruptcy filings again last year. Tennesseans continued to file for bankruptcy at a rate more than twice the U.S. average last year, according to figures compiled by Epiq Systems, Inc. for the American Bankruptcy Institute. Tennessee was followed, in order, by Alabama and Georgia as the top states for bankruptcy filings in 2016. "The states with the highest filings are the states where it is easiest for creditors to enforce their rights against those who owe them money," said Larry Ahern, a bankruptcy attorney and adjunct professor of bankruptcy law at Vanderbilt University's law school. "If it is easier for the creditor to foreclose, then the debtor is left with fewer options to negotiate with a creditor or find other sources of funds and is more apt to file for bankruptcy sooner." Although bankruptcy filings are higher in Tennessee, however, creditors aren't necessarily losing more money in the Volunteer State. Those who file for bankruptcy relief in Tennessee are more likely to reorganize their finances under Chapter 13 plans which repay more debt over time than do most chapter 7 liquidation plans. In the Chattanooga bankruptcy court last year, nearly 61 percent of the bankruptcies last year were Chapter 13 filings. Nationwide, only 38 percent of all bankruptcy filings were Chapter 13 petitions. Kara West, the bankruptcy trustee who handles Chapter 12 and Chapter 13 cases in Chattanooga, collected more than $94.4 million for unsecured creditors last year from the 11,570 cases her office handled in 2016. In 2015, the chapter 13 trustee's office in Chattanooga collected nearly $99.9 million from debtors in reorganization to repay unsecured creditors. "Typically, in our area, people want to try to pay back their debts, if they can, and a chapter 13 gives them more time to work out their finances over time to pay back more of what they can," West said. "In a Chapter 13 filing, debtors promise in three to five years to pay back what they can from their disposable income or equity in assets, whichever is greater." On average, about 70 percent of the unsecured debt is paid back through chapter 13 cases, which is much higher than in most chapter 7 liquidations, West said. Chattanooga bankruptcy courts and the local bar also have tended to encourage more chapter 13 filings for decades, Ahern said. "Chattanooga was one of the early leading courts for encouraging Chapter 13 plans under former Bankruptcy Judge Ralph Kelly (formerly Chattanooga's mayor i1963-1967)," he said. "That has tended to work to the advantage of creditors." Although consumer bankruptcies were down last year , commercial filings last year jumped by 26 percent and bankruptcy experts warn that as interest rates rise in 2017 bankruptcy filings could rebound this year. "While commercial filings increased last year, total filings fell for a seventh consecutive year and bankruptcies decreased to their lowest number recorded since 2006," said ABI Executive Director Samuel J. Gerdano. "As the Fed raises rates in 2017 and the cost of borrowing increases, more debt-burdened consumers and businesses may seek the financial shelter of bankruptcy."